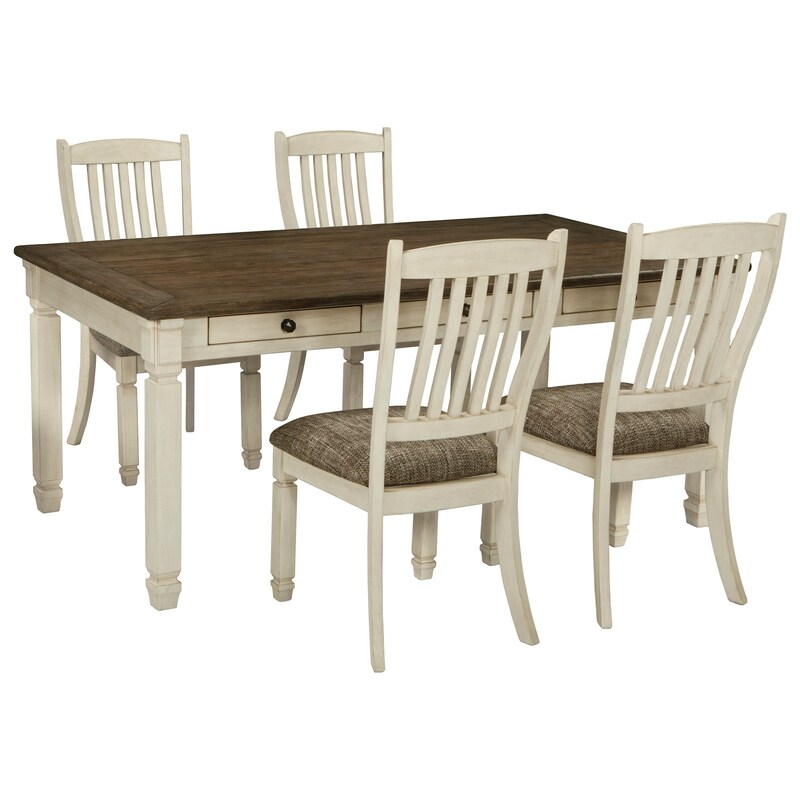 Create a charming dining room with an inviting ambiance with the addition of this relaxed vintage five piece table and chair set. The two-tone finish is captured by using a combination of Oak and Acacia for an eye-catching contrast. Each chair has an upholstered seat for added comfort. This table offers six convenient drawers for storing small dining room items. The Bolanburg 5 Pc Dining Group by Signature Design by Ashley at Royal Furniture in the Memphis, Nashville, Jackson, Birmingham area. Product availability may vary. Contact us for the most current availability on this product. 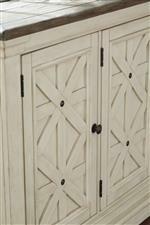 The Bolanburg collection is a great option if you are looking for Relaxed Vintage Cottage Coastal furniture in the Memphis, Nashville, Jackson, Birmingham area. Browse other items in the Bolanburg collection from Royal Furniture in the Memphis, Nashville, Jackson, Birmingham area.